Welcome to the 4th Annual Cinco De 5K! Spring is in the air and we have a fun-filled course for you starting in the heart of Downtown Shelton! 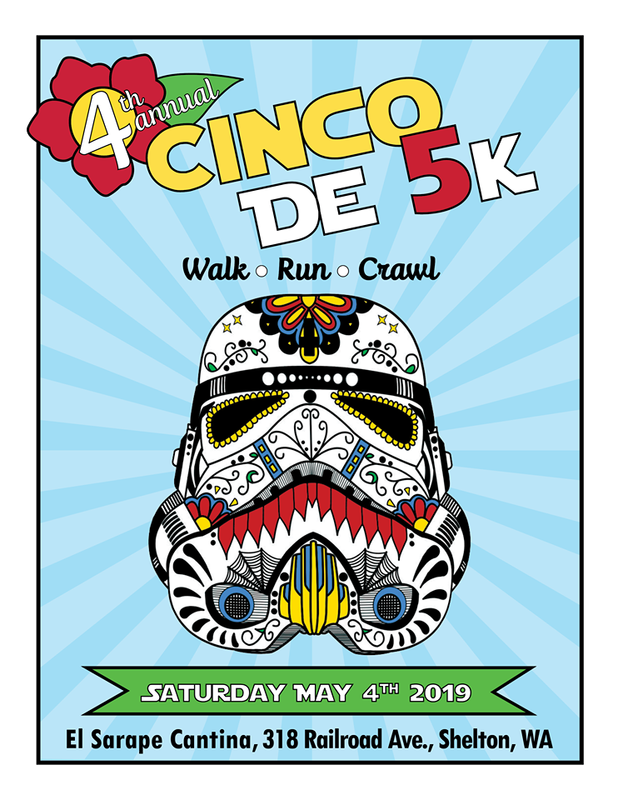 It starts in the El Sarape Cantina parking lot heading down Railroad Avenue up 7th street, up Alder down Northclif, and finally it will lead you back to the Cantina its self; where you will enjoy live music, vendors, 96.9 KAYO Sticker Stop, raffles and more! There will be prizes for the best dressed "Fiesta Wear" Costume for both individuals and groups, Giveaways and promotions all day! You dont want to miss this! 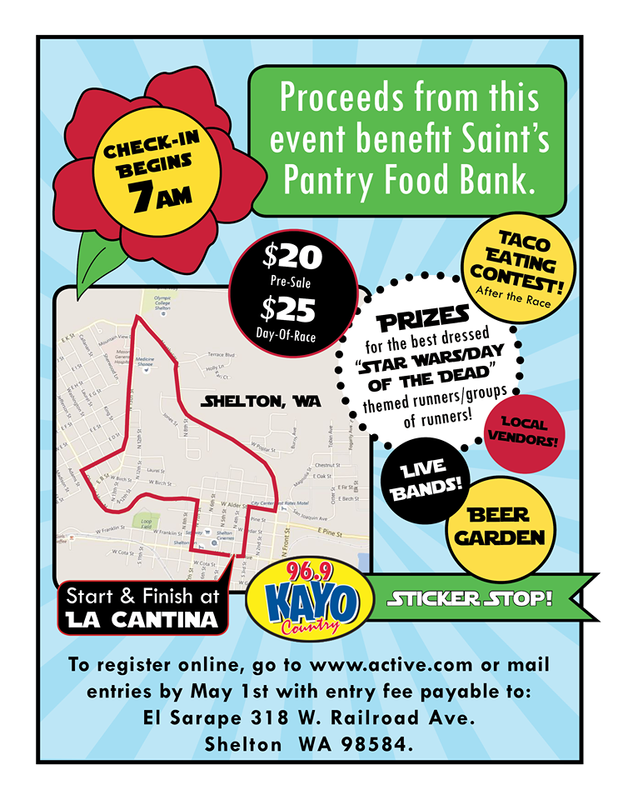 Proceeds from this event benefit the Saints' Pantry Food Bank of Shelton WA. * Event starts and finishes in the El Sarape Cantina parking lot. * All participants must check in prior to 8:30am at the El Sarape Cantina parking lot. * Please return a completed entry form with registration fee by May 4th. * Applications must be compleated by 8:45am race day. * All participants must sign a liability waiver. * Due to liability no dogs allowed on the course. * Early registration accepted on-line or with postmark by May 2nd. Additional fees apply after May 2nd. * Pre-registration open until May 4th. * Day-of-race registration: Cash or Check only. * On-line registration powered by www.active.com. Requires use of credit card and processing fee will apply.